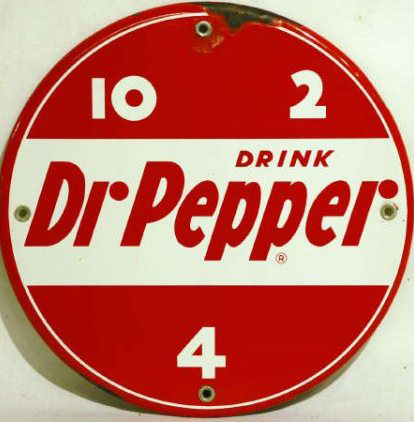 This is a round Dr. Pepper porcelain sign. This particular Dr. Pepper sign is red with a white banner across the center. It reads, “Drink Dr Pepper, 10, 4, 2” .